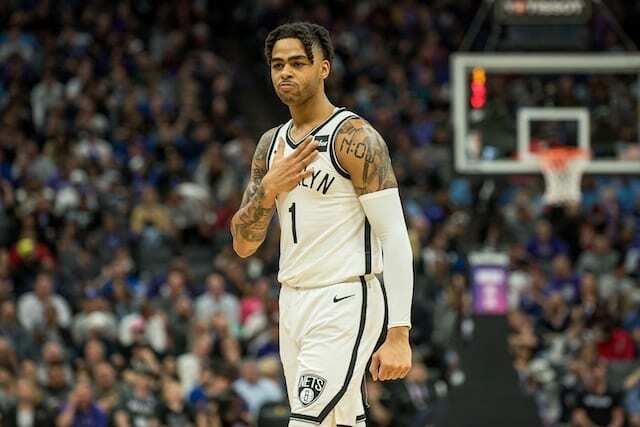 With the Los Angeles Lakers preparing for the Brooklyn Nets, all of the attention is naturally on D’Angelo Russell, who recently made his first NBA All-Star appearance. Despite being the No. 2 pick in the 2015 NBA Draft, the Lakers traded him and Timofey Mozgov for Brook Lopez and the No. 27 pick in the 2017 NBA Draft (Kyle Kuzma). While president of basketball operations Magic Johnson and general manager Rob Pelinka eventually signed LeBron James last free agency with one of their two max-contract slots, it is difficult to ignore what could have been with the 23-year-old as he leads the playoff-bound Nets. 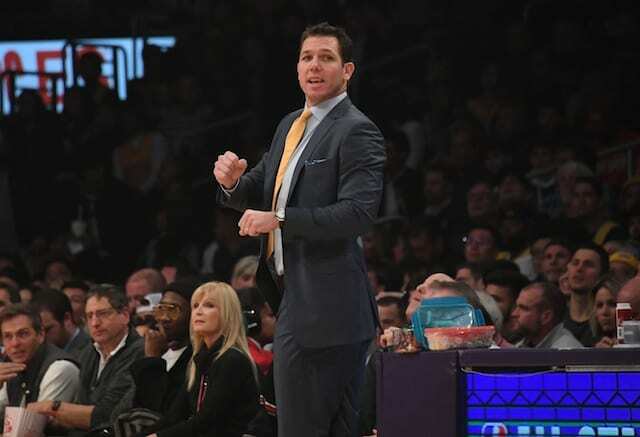 With Russell coming off a career-high 44 points in the comeback win over the Sacramento Kings, head coach Luke Walton praised his former point guard. Since Russell was traded after just two seasons in Los Angeles, Walton was asked if there is any part of his development that has surprised him from a distance. “No, you don’t want to say that a young player isn’t going to be able to do things. I think D’Angelo was the No. 2 pick because he’s got an incredible skillset when it comes to playing this game, so he’s definitely sharpened those skills,” Walton explained.